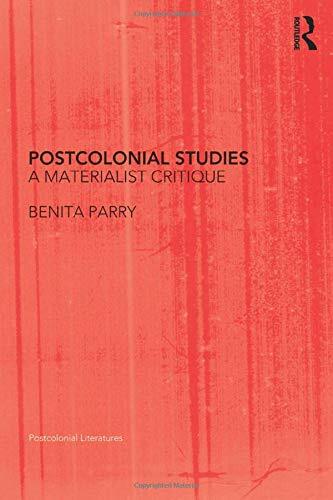 "'There are many signs that the style of postcolonial studies practised in the 1980s and 1990s is evolving towards more materialist, historically circumstanced sorts of inquiry - a kind of inquiry to which Benita Parry has consistently drawn our attention. This collection is certain to play a key role in the transformation of the field. '-Timothy Brennan, University of Minnesota, USA"
This powerful selection of essays proposes practices of reading and criticism to make the field of postcolonial studies more fully attentive to historical circumstances and socio-material conditions. Benita Parry points to 'directions and dead ends' in the discipline she has helped to shape, with a first series of essays vigorously challenging colonial discourse theory and postcolonialism as we have known them. She then turns to literature with a series of detailed readings that not only demonstrate her theoretical position at work, but also give new dimensions to widely studied texts by Rudyard Kipling, Joseph Conrad, H. G. Wells and E. M. Forster. Parry argues throughout that the material impulses of colonialism, its appropriation of physical resources, exploitation of human labour and institutional repression have too long been allowed to recede from view.